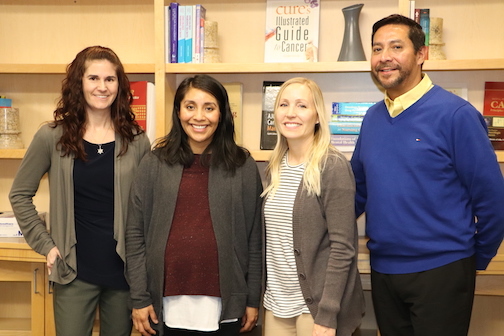 It was then she discovered the PCC Institute for Health Professionals Clinical Research program – and now she’s working at Providence in Clinical Research full-time. 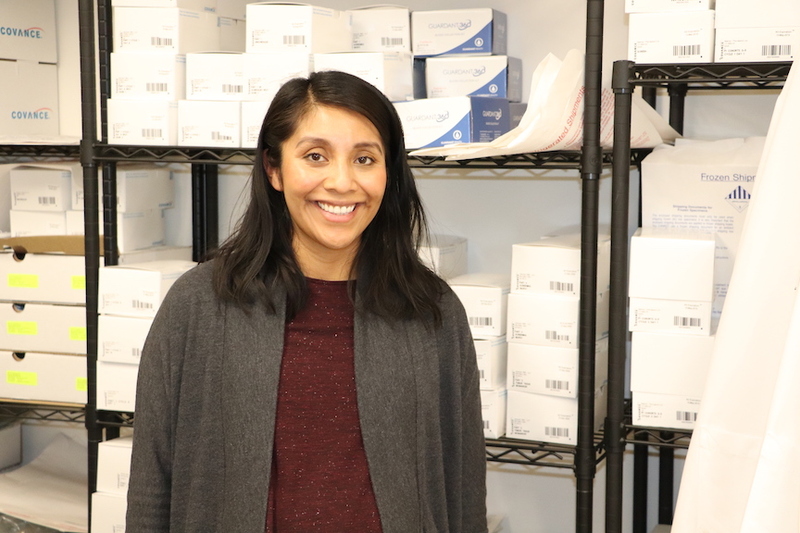 We sat down with Cynthia to learn more about her career trajectory and experience with PCC IHP's Clinical Research program - including her experience from classroom instruction, to developing skills through her internship, and eventually landing a role in a research position. How did you discover the PCC Institute for Health Professionals Clinical Research program? I was a CNA aid for 7 years and began working as a CNA 1, CNA 2 before becoming a Med-Aid. The next step in my career transition would be an RN but I was looking to transition into something more administrative and interconnected. I started by looking up jobs in research. I was seeking something that would offer training and experience in research and eventually discovered the PCC Institute for Health Professionals. I discovered Clinical Research was a great fit because it combines patient care with research. What excited you most about entering the clinical research field? I love doing research in general. When I am looking for information about anything, I need to look up multiple sources. I really like the idea of acquiring information. What was the experience like transitioning from your previous work as a CNA into clinical research? Did you immediately feel confident or was it a transition? It was a nice change of pace. My other job was more hands-on with patients and dealing with a different type of individual. I felt like my stress levels were higher. There was a lot of multitasking – and I needed to be flexible and drop things at any moment. I was also working with many different personality types. Coming here I felt a calm and my colleagues are so helpful and accommodating. I am not saying anything was negative at the other job, it’s just when you’re hands-on with patients and the workflow is different every day, it’s nice coming to something that is calmer and more predictable and quieter. We had to fill out a satisfaction survey recently and I noticed how different my responses were. It is hard work being a nurse’s assistant and stressful physically, mentally, and emotionally. Clinical Research is a good transition for me. Why did you decide to take this program? I thought it was a really good opportunity. It came at the right time and I liked that it was online. It wasn’t until the internship that I secured as a result of this program when I met Katie, Rachel, Kimberly and Armando and heard the way they talked about their jobs. They are passionate and knowledgeable - I wanted to be in a position like that. I want to be in a job where I speak highly of what I do and be knowledgeable and passionate like I saw in all of them. Did you enjoy the online format and the live stream features? It took me awhile to get used to online classes because my first four years in college were lectures. At first I felt it was impersonal, but it is convenient for scheduling and doing things at your own pace. Plus, its flexibility allowed me to work full time. Tell us about your job now and what you enjoy the most about it. I am currently a project assistant. I make forms and run reports. There is a project I worked on recently and managed to make it to the third phase of it – which is uncommon. The project involved adding research patient information to RedCap which is one of the online data capture systems that we use. I reviewed consent forms for a recent study, and worked on its data to make sure it was clean. There is a lot of data cleaning and data requests that I fulfill. I am working with Excel a lot and Velos (research platform). I also do deviation submissions and take minutes at meetings. We have some projects coming up for the nurses in diagnostic. There is a lot of variety which I like. You participated in the first internship through Providence. Can you tell us a little about what that was like and what inspired you to apply for that? I saw the position as an opportunity to gain experience and get my foot in the door with research to further my career. I was already working for Providence as a Health Unit Coordinator. Through the internship I acquired a better understanding of research what people do in this field. When you think of research you think of people in lab coats running experiments, but the clinical side is different – and I learned more about the clinical side - the work they do and how detail oriented it has to be, including the different forms and regulations. If I would describe it to someone now, I would differentiate the clinical side and the actual lab work. There are protocols and regulations; even the FDA is involved. There is also a whole team working on research - like investors and nurses, not just one person. If you recall all of the prerequisites you had to take, how do you feel that those prepared you or supported your knowledge especially since you came from a different background? I think it helped a lot. Especially the medical terminology Anatomy & Physiology, I feel like, helps me now when I am looking through patient charts and figure out why they are enrolled and what their disease indication is. I did have the ANP series completed when I applied. Knowing Anatomy & Physiology is helpful when deciphering what the doctors write and it allows you to not have to bug your team as much. Makes you a huge asset. Do you feel your internship helped prepare you and paved a way for your full-time job? Yes, definitely! I feel like having the experience with Velos and knowing the staff and the workload helped me exceed a lot quicker. I really appreciated having that experience with the program. What would you say to others considering an internship in clinical research? I would tell them to definitely go for it. It gives you a good idea of what to expect and gives you the experience.